A cover letter is most commonly seen as a formal and concise piece of writing submitted along with a job application. It has two primary purposes: capturing the employer’s attention and convincing them that you are the best candidate for the job. People often underestimate the cover letter’s importance, overlooking the fact that it might ultimately be the deciding factor of whether you achieve your goal. For employers, a cover letter provides a necessary cornerstone for interpreting your resume or CV. Apart from that, they can tell a lot from the way it is written. For example, if your cover letter is a generic template or contains grammatical mistakes, misspellings or poor phrasing and formatting, they might simply brush it off and take you for someone who is as sloppy and careless with their work as they are with their cover letter. That said, it is obvious why this short, sub-500 word piece is critical to your professional success. Due to this, a lot of people who are not confident enough in their own abilities turn to professional writing services. So, where can you find those? With that in mind, we have compiled a list of sites which fall under all three of the aforementioned categories where you can find the very best cover letter writing services. Fiverr is a well known name, and it is a freelancing platform with unprecedented versatility. Whichever type of work you need done, chances are you can find it cheaply on fiverr. Naturally, this also includes cover letter writing, along with content writing in general. While fiverr’s versatility is definitely a positive trait when it comes to competition, that very distinguishing trait is something of a double-edged sword. Namely, since fiverr offers such a vast array of services to choose from, it is hardly optimized for writing services. As such, filtering and finding the best services may be difficult. 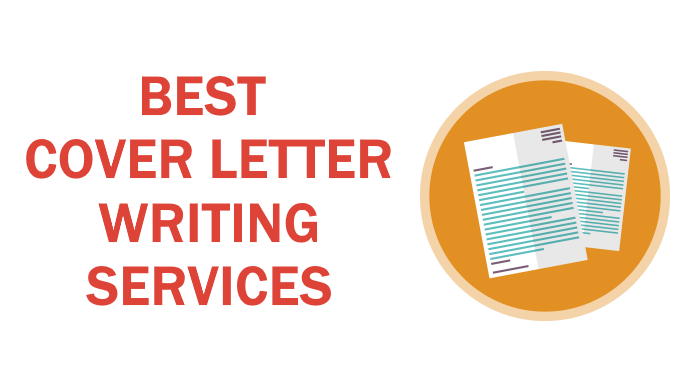 On the other hand, fiverr is most likely the place where you will be able to find the cheapest cover letter writing services, which earns it the 10th spot on this list. Hailing from ‘down under’, Melbourne Resumes is Australia’s leading professional resume writing service. The company takes great care to communicate with their clients and to represent them as best as possible in whatever document they write for them. Melbourne Resumes is by far the most expensive company on this list. This is justified by how extensive their creative process is and how much effort is put in into adequately representing their clients, but the truth is that there are services which offer just that quality level but with a much lower prices tag. Due to this significantly higher cost, Melbourne Resumes remains at spot number 9. ResumeSpice is a website founded with the sole purpose of helping job seekers succeed in their goals. The fact that it was founded by the people running one of the largest US-based recruiting companies (Murray Resources) goes a long way to make ResumeSpice a promising prospect. After all, you are getting your cover letter written by recruiters who know just what an employer wishes to see and what will make you look good in their eyes. Their prices are exponentially higher than those of the other entries on this list, and are the sole reason why ResumeSpice finds itself lower on this list, as not everyone is able to afford their services. However, if you’re applying for your dream job that you feel you absolutely must have, this very high price is something you might be able to look past. Content Development Pros is a versatile content writing company which offers cover letter writing as part of their services. The content they write is carefully edited and proofread to ensure it is free of any grammatical errors, in addition to offering unlimited revisions until their customers are satisfied. Content Development Pros may not offer the best deal when it comes to either the price or the quality, but what they do offer is a good balance between the two, along with reliability and excellent customer support. These qualities are what lands Content Development Pros at spot number 7 on our list. EssayBox is another reliable academic writing company which offers cover letter writing as part of their wide range of services. They employ writers from around the globe, including ones who are not native English speakers. However, even the writers who only speak English as a second language are all individuals who both possess advanced proficiency and have experience writing. EssayBox offers quality services at somewhat lower prices than their competitors, especially when it comes to the more advanced pieces of writing. 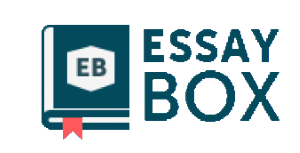 Ultimately, the better quality-price balance makes EssayBox an excellent choice for those working on a budget. Arguably the most popular platform among both customers and freelancers, Upwork gives you access to the services of countless writers from around the world. Time and again, it has proven to also be one of the most reliable choices, in addition to being the most popular one. With Upwork, you can either post a job ad and wait for writers to apply, or search for writers whom you’d like to hire based on work experience, hourly rates, skill tags and more. Whichever option you choose, you’re in good hands, seeing as Upwork takes great care to protect both the writers and customers who conduct business through their platform. ResumeWorld has a 25-year track record of helping people succeed in their professional pursuits. Their services include the writing of anything from resumes to cover letters, and any additional type of formal documents in this vein. They can either review a cover letter you wrote yourself, edit it or write it for you from scratch. ResumeWorld’s biggest glaring flaw is, of course, their pricing, as it is much higher than what you would usually pay for cover letter writing. Granted, it includes careful interpretation of your resume and in-depth analysis of your target industry so as to provide the best possible quality, but the truth is that such an extensive approach is not always necessary. All things considered, the only factor keeping ResumeWorld from ranking higher is a lack of pricing versatility. PaperCoach is a rather popular academic writing service that offers cover letters as part of the content which they provide. Their pricing model adheres closely to what you’d expect of an academic writing company, as it is based on the key factors such as writer level (high school through Phd), deadline (6 hours to 14 days) and page count (275 words per page). Having already placed high on our list of the best educational writing services, the very traits that earned PaperCoach a spot there also apply here: tried and proven quality, excellent customer support and an impressive track record. All in all, PaperCoach provides a great balance of quality and price, which ensures that you’ll get good value for your money. TheResumeCenter is a specialized resume writing and consultancy service founded as far back as 1998. Their services include a number of things that are all aimed at helping you achieve your professional goals. These cover writing and rewriting of resumes and cover letters, managing your online presence on LinkedIn and even interview coaching. All in all, there could hardly be a more fitting service to turn to than the one which focuses primarily on your professional portfolio. Their prices are quite affordable, especially taking into account that you simply cannot go wrong with a company as experienced and reputable as TheResumeCenter. You can rest assured that these veterans will do everything they can to get the job done, and for you to get the job you want – and they can do a lot. A reputable company dealing primarily with academic writing which had already made it to our best educational writing services list, Ultius finds itself ranking first on this one. Cover letters constitute a part of the wide range of services offered by this US-based company which hires only American writers, all of whom are thoroughly tested and trained before being hired. That said, you can rest assured that you are paying for the services of experienced native English speaking writers. Ultius offers a very flexible pricing system which includes the choice of deadline, writer skill level and word count. The work can be delivered in as little as 3 hours or as much as 60 days, and the writer levels cover everything from high school students to doctoral graduates. Regardless of what you pick in this regard, all the work is edited free of charge to ensure what you get is error-free.